MAXINE BROWN-THE BEST OF THE WAND YEARS-VINYL. In 1960, twenty-one year old Maxine Brown signed to the small, New York-based Nomar label who released her All in My Mind. The deep soul ballad which was written by Maxine Brown and reached nineteen in the US Billboard 100 and number two on the US R&B charts. Buoyed by this success, Maxine Brown released Funny which reached twenty-five on the US Billboard 100 and number three on the US R&B charts. By them, critics and industry insiders had high hopes for the former member of The Angelairs and The Royaltone. Sadly, that wasn’t the case, and by the time Maxine Brown signed to Swan Records in 1963, she had only enjoyed one further minor hit single. This was My Time For Cryin’, which stalled at a lowly ninety-eight on the US Billboard 100. Despite this Swan Records were keen to sign Maxine Brown, and soon, she was in the studio recording her debut single for her new label. This was Ask Me, which was released in March 1963 and reached seventy-five on the US Billboard 100. Tucked away on the B-Side was the soulful ballad Yesterday’s Kisses. where strings and growling horns accompany Maxine Brown’s impassioned vocal. Ask Me which features on The Best Of The Wand Years, which has been released by Kent on vinyl. This is a welcome reissue . Seven months later, in October 1963, Maxine Brown released the soulful dancer Little Girl Lost, which failed to chart. Despite that it’s a welcome addition to The Best Of The Wand Years. Coming Back To You was released as a single in early 1964, and stalled at ninety-nine on the US Billboard 100. On the B-Side was the hidden gem Since I Found,which features a defiant vocal from Maxine Brown. In April 1964, Maxine Brown returned with I Cry Alone, which also failed to chart. However, Maxine Brown’s next single On No Not My Baby reached twenty-four in the US Billboard 100 and became synonymous with her in years to come. The followup It’s Gonna Be Alright, was released in January 1965, but stalled at fifty-six, while reaching twenty-four in the US R&B charts. Maxine Brown was back with another hit single One Step At A Time a slick slice of poppy soul was released in May 1965 and reached fifty-five in the US Billboard 100. Sox months later, If You Gotta Make a Fool Of Somebody, which was released in November 1965 but reached just sixty-three in the US Billboard 100. Seven months later, I Don’t Need Anything was released in June 1966, but failed to chart. Hidden away on the B-Side was Let Me Give You My Lovin’ which nowadays, is a favourite on the rare soul scene. Another single from 1966 was One In A Million, which was penned by Rudy Clark and is one of finest singles Maxine Brown released on Wand Records. Not everything Maxine Brown recorded was released and when The Best Of The Wand Years was being compiled a trio of dance tracks were found. This includes a version of I Want A Guarantee with an alternative vocal), the Otis Redding produced stomper It’s Torture and Baby Cakes. These hidden gems are a reminder of Maxine Brown, during her Wand Records’ years when she released the best music of her career. For vinyl lovers, The Best Of The Wand Years which has just been released on Kent, is the perfect introduction to some of Maxine Brown. It features hits, hidden gems, B-Sides, album tracks and unreleased dance tracks from Maxine Brown, who was at the peak of her powers as a recording artist at Wand Records. 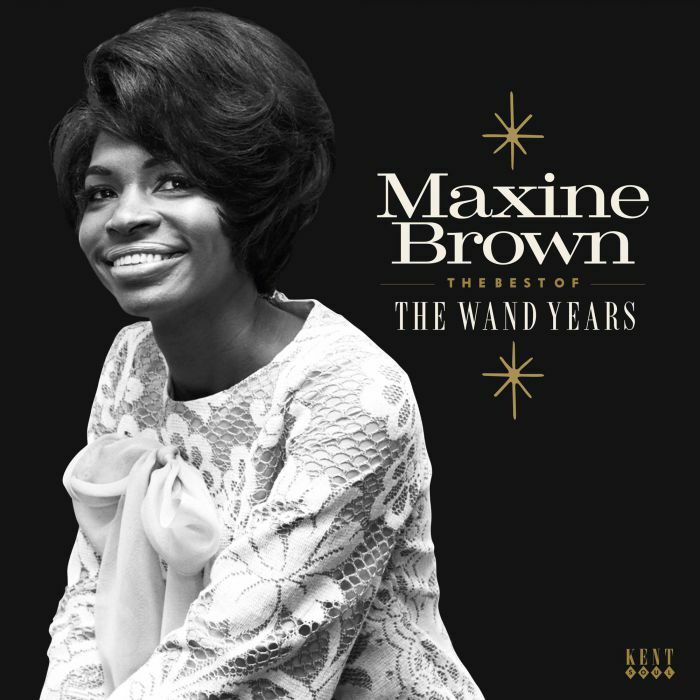 Proof of that can be found on The Best Of The Wand Years which features fourteen slices of soulful music from Maxine Brown whose enjoyed a six decade career and is still going strong. ← MOGWAI-THE STORY SO FAR.